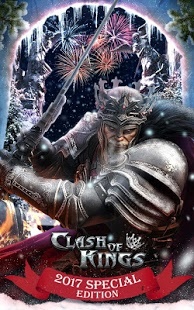 Clash of Kings Get Your Google Play Flash Deal Offer Now! Multi-player game with kings and building villages. Your goal is to build an empire that is successful. There are seven kingdoms that you can rule over. Develop a strategy so that the people in the kingdom are protected. Build your forces to protect the kingdom, each with its own weapons and defense tactics.